Suddenly, my world changed when I turned 70 years old, while reading Matthew 5 in the Bible. JESUS taught His disciples to pray like this: “Our FATHER in heaven, hallowed be thy Name. Your Kingdom come, Your will be done on earth as it is in heaven”. I paused and began to speak to JESUS. Not sure where I was going with this, I simply said: “JESUS, this is how You taught your disciples to pray. As I look around me, Your people are not living on earth moment by moment concentrating on doing what the FATHER is doing and saying what He is saying. How do we do that? How do we obey You? JESUS, I am seventy years old, so I can’t have too many more years left. For the rest of my life would You be so kind as to give me the gift of showing me ‘How would Pat live on earth as it is in heaven?’ I have no language for that.” The thirteen years since then have been the most glorious and the hardest years of my life. Strangely, GOD has given me a whole new way of thinking about life. Everything has been turned upside down. Now when I am tested, when I have a trial, when trouble comes, or even when I experience sickness, I celebrate that I get to know GOD in a way that I never could have known Him had this never come into my life. Celebrating those challenges in my life is now a taste of heaven for me. It certainly is not how we typically respond to these things on earth. It truly has to be a new experience of GOD’s Presence in me. Thirteen years later, He is still answering this prayer I prayed when I turned 70. Here in Columbus, Ohio, 2017, GOD gave me the name of this book and the road map to FATHER, JESUS and HOLY SPIRIT which creates His Legacy in each one of us. I take no credit for anything but the mistakes in this book. As I have found, so I hope you will find the words of this book to be a spiritual stimulus to make FATHER GOD, JESUS, and HOLY SPIRIT your First Love! This book is divided into a Five Part Roadmap . . .
Part 1, INTIMACY: Nearness to GOD and con dence in Him changes everything! Part 2, IDENTITY: You are who GOD says you are . . . nothing more, nothing less! Part 3, INTENT: Joy is found by walking in the pur- pose GOD created you to ful ll! Part 4, INHERITANCE: GOD makes His deposit through you into generations who follow you! 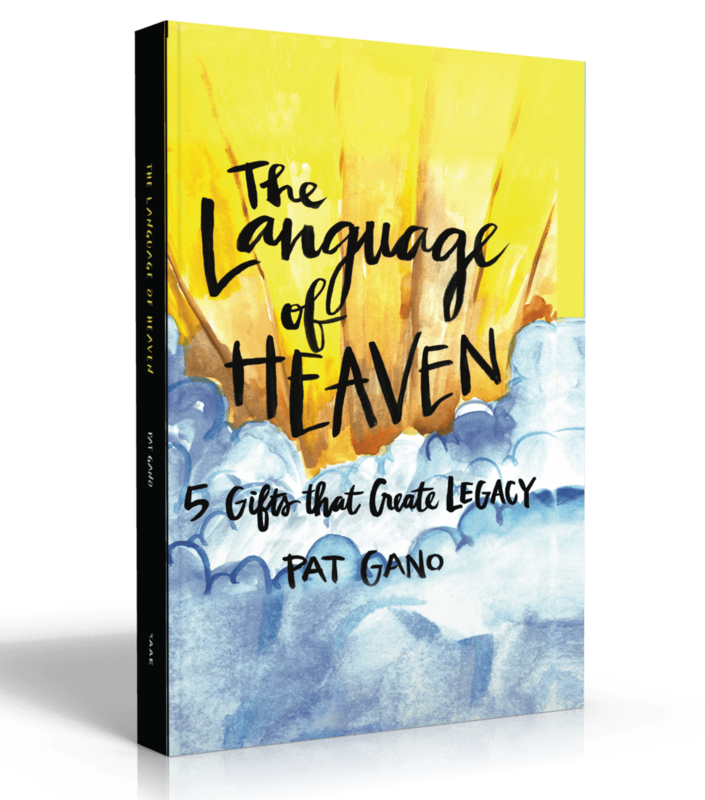 Part 5, IMPACT: Humbly surrender, give, receive, impact the World, and populate Heaven! The book opens as a dialogue and continues as a dialogue. It is written in a conversational script format between a female named Bernice (which means “bringer of victory”), GOD as FATHER, GOD as JESUS His Son, GOD as HOLY SPIRIT, and satan. Bernice is a fictional character whose life story combines tragic, but real stories of real women who have been a part of my life. Pat is an author who seeks ‘to watch with JESUS ‘ (Matt. 26:28). Yes, it requires identifying with JESUS through our own Gethsemane experiences, but the reward is a chance to live on earth as it is in heaven. It creates a oneness with the Creator of the universe that dispels darkness by His HOLY LIGHT. Pat’s first love is her heavenly family: FATHER GOD, JESUS, and HOLY SPIRIT. She began her walk with the supernatural encounter with JESUS at the age of three. She then questioned JESUS in college, forgot JESUS as she traveled the world seeking worldly values, sitting with JESUS in a church pew until she was seventy years old. Something wonderful happened at that time! She humbled herself, surrendered all to JESUS for the privilege of ‘watching with JESUS . . . expecting nothing, no agenda, just being with Him. Pat has been resting in JESUS, listening to what GOD was doing and saying for thirteen years now. Guided by the HOLY SPIRIT, these thirteen years Pat is learning to live Kingdom living on earth. Pat’s second love on earth is her family. It is through her blessed marriage, her beloved children, and their families that GOD has taught her the value of family. Even though each of us has experienced deep sorrow, it is through those very things that GOD has shown Pat His truth that the depth of pain, which is the enemy’s plan, is the height of beauty of GOD’S CALLING. A truth that Pat now teaches as others go through their own valleys. GOD has shown Pat, her family, and others that under the shield of GOD’S wings is a sweet, calm loving place of transformation. Pat is passionate to build a new kind of army that encourages everyone, no matter what age, to recognize that life is a beautiful staircase. It is our privilege to go up higher year by year. We would get wiser, would give more, would be more thankful, would sing more, would lie under the stars more, and we would be more grateful. More importantly we would love more deeply, more sacrificially than we did last year and definitely less than we will next year. 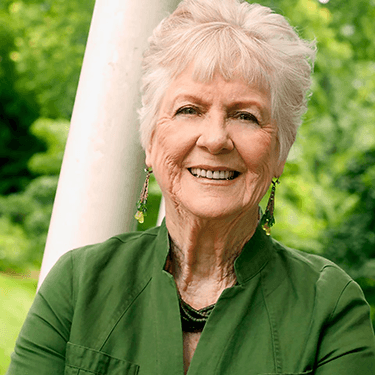 Pat is a John Maxwell certified Life Coach, Trainer, and Speaker. She is CEO Of Freeing Souls To Soar, and she is a member of the Igniting Souls Tribe. She is an author with Kary Oberbrunner and David Branderhorst as her publishers. Pat and her husband Pete live in Columbus, Ohio, as well as their daughter and her family. Their son and his family live in Bethlehem, Georgia. The family is committed to impact the social pillars of the church, business and the arts, by practicing kingdom community to everyone with whom they come in contact.